Four Honolulu Police officers have been placed on administrative leave after an early-morning shooting left a Waipahu man dead and family members claiming police used excessive force. According to authorities, the shooting happened behind a home at 94-926 Hiapo Street. Officers went to the home at about 3:10 a.m. Saturday to investigate a dropped 911 call. “When they arrived, they saw a male standing at the back of a house and holding a 12-foot metal police with a straight blade attached to the end,” said Honolulu Police Chief Louis Kealoha. Witnesses told the officers that the man had threatened a family member with the blade. Kealoha said the man refused orders to put the long blade down. and instead advanced toward them while making cutting motions. Police said five shots were fired. Emergency medical responders said the man was pronounced dead at the scene. Family members and the Honolulu Medical Examiner’s office identified the man as 43-year-old Victor Rivera. This entry was posted in Dead, Hawaii, Man, Shot by Police on December 14, 2013 by usgunviolence. 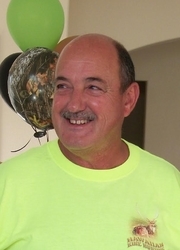 A 62-year-old Maui man died in an apparent hunting accident in which a gun from another member of the group accidentally discharged and struck him in the head, police said. The incident was reported at 11:36 a.m. on Sunday, Nov. 24, 2013 at property owned by Haleakalā Ranch at the end of Līpoa Street in Kīhei. Maui police have since identified the man as Theodore Cabos Jr. of Kula, Maui, saying he was pronounced dead at the scene. The incident was called in by another individual who said the victim sustained a gunshot wound to the head and was unresponsive, according to police reports. Authorities say Cabos was hunting was with family when the accidental discharge of the firearm occurred. This entry was posted in Accidental Shooting, Dead, Hawaii, Man on November 24, 2013 by usgunviolence. Honolulu Police Department investigators are trying to find out what sparked and apparent murder and attempted suicide case involving a man and woman this morning. The case happened at the Ala Wai Town House building in Waikiki. Neighbors say they heard gun shots coming from the area on Saturday night, but they didn’t hear anything this morning when the incident was reported. The 911 call came it at 4:30 this morning. Paramedics found two people inside an apartment with gunshot wounds. A 33 year old woman died at the scene. A 40 year old man was also shot and taken to the hospital. It’s believed he shot the woman and then turned the gun on himself. There are no other suspects. “A murder attempted suicide case has been initiated,” said Capt. Lisa Mann, Honolulu Police Department. The suspect is believed to be in the Army. A service issued weapon is not believed to be used in the case. It’s also unknown if PTSD was a factor. Neighbors say they heard gunshots on Saturday night. The Medical Examiner’s office said the 33-year-old woman who was killed in her Waikiki condominium Monday died of cranial cerebral injuries caused by multiple gunshot wounds to the head. The identity of the woman, who police said was killed in an apparent murder and attempted suicide, is still pending, the Medical Examiner’s office said. However, XINMSN news service and a Chinese newspaper reported that the victim is Tara Irdawati Isnin, who moved to Hawaii from Singapore with her newlywed husband, Leo Chavez, 40. The Consulate General in San Francisco also confirmed that the victim is Isnin. According to Chinese evening paper Shin Min Daily News, the murder may have been triggered after the woman had asked for a divorce. The Honolulu Medical Examiner’s Office officially confirmed the identity of Monday’s apparent murder victim as Tara Insin. This entry was posted in Dead, Domestic Violence, Hawaii, Multiple Shooting, Murder-Suicide, Woman on October 28, 2013 by usgunviolence. This entry was posted in Domestic Violence, Hawaii, Man, Multiple Shooting, Murder-Suicide, Suicide, Wounded on October 28, 2013 by usgunviolence. Around 10:40 p.m. Friday night, Kauai Police on a routine patrol came across a group of people at the Nawiliwili jetty area. One of them was a 21 year-old man sitting in his car with two guns. “We believe he was in the car at the time as the officers approached. He got out of the vehicle. He threw one of the weapons at a officers and raised the other weapon and pointed it toward our officers,” Kauai Police Chief Darryl Perry said. Chief Perry says when the Kalaheo man got out of the car, he threw a rifle at one of the police cars and then aimed a shotgun at the officers. “This individual was given several command orders to drop the weapon and he didn’t do that. They were in imminent danger but they were in fear of being shot. Basically death or fear of serious bodily injury,” Chief Perry said. Chief Perry would not say how many times the man was shot. This entry was posted in Dead, Hawaii, Man, Shot by Police on August 16, 2013 by usgunviolence. 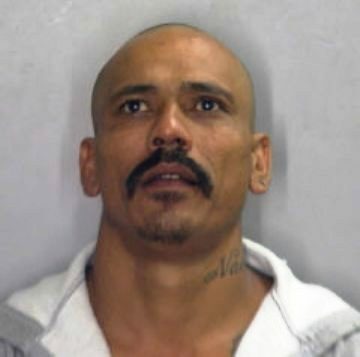 Big Island Police have charged a 43-year-old Puna man in connection with a fatal shooting. The incident happened Monday in the Nanawale Estates subdivision. Police charged Seon Keoni Aki on Wednesday with second-degree murder, use of a firearm in the commission of a felony, and first-degree terroristic threatening. On Wednesday, an autopsy determined that the victim, 40-year-old Mateo D. Balinbin, Jr., died from an injury to the brain from a gunshot wound. The death was ruled as a homicide. This entry was posted in Dead, Hawaii, Man on May 20, 2013 by usgunviolence. A 24-year-old Molokai woman who was shot in the chest late Wednesday night has died, according to Molokai police. Officials say they received reports at approximately 9:59 p.m. of a single gunshot in the area of Kawela known as “The Barns.” Police say that upon arrival to the Kawela Barns Apartments, located at 2626 Kamehameha V Highway, they discovered the female victim with a gunshot wound to the chest. She was transported to Molokai General Hospital in critical condition, where she later died as a result of her injuries. 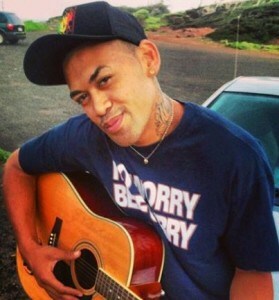 Molokai officials have identified the victim as 24-year-old Malia Kahalewai of Kawela. Police identify the suspect as the victim’s boyfriend, 33-year-old Marlin Lavoie. He reportedly fled the scene in a small Honda heading east on Kamehameha V Highway and was found the following morning at 7:50 at his home in Honouliwai. This entry was posted in Dead, Domestic Violence, Hawaii, Woman on March 20, 2013 by usgunviolence.